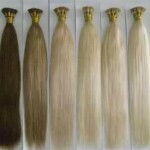 Hair extensions are incredibly popular and are extremely versatile. Many celebrities are rarely seen without them! These are not to be confused with extensions from inexperienced technicians or hair dressers. 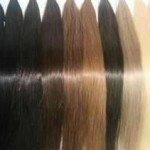 Professionally applied hair extensions will last and not cause damage to your hair. Extensions come in such a wide range of colours and textures that there really are no limitations to the look you can achieve providing your hair is suitable and healthy. You can add length, colour, highlights, or use them to add thickness & body to your hair. They look so completely natural that no-one will be able to tell you are wearing them, instead assuming your great new style is due to a fabulous cut or top-of-the-range products. At Jacaranda we take hair safety very seriously. We offer a free assessment consultation service to help you decide which type of hair you prefer and also to check whether your hair is suitable for hair extensions before proceeding. 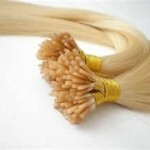 There are different methods of applying hair extensions. We offer a range of methods that are suited to your hair and individual requirements at a price you can afford. We will discuss the advantages of different methods of applying extensions with you to make sure you get the look you want at a price you can afford. Each individual extension is individually colour matched as it is applied allowing for subtle or dramatic highlights and lowlights. We also offer an ‘application only’ fee for just £120. An exact quotation will be given on quotation.